This week, the Pennsylvania Labor and Industry Committee voted against the passage of House Bill 1800, which would severely limit injured workers’ ability to receive quality medical care. House Bill 1800 aimed to impose “evidence-based medical treatment guidelines” for injuries, meaning that doctors would have to follow a specific course of treatment rather than rely on their own judgment as to what is best for injured workers. 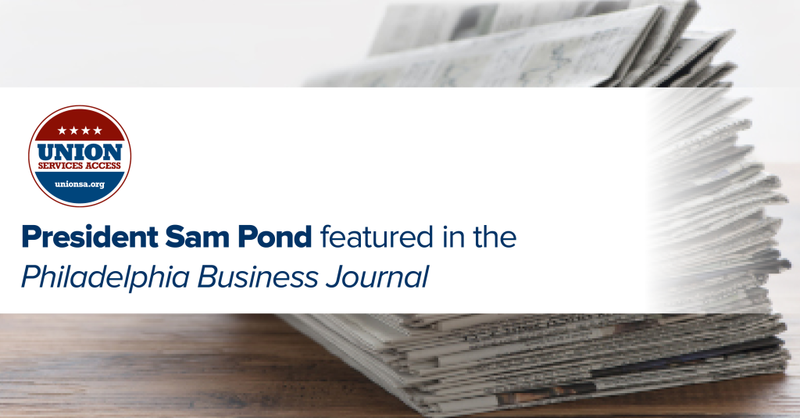 Managing Partner Sam Pond expressed his deep appreciation to everyone who banded together with Pond Lehocky to fight this damaging legislation, but warns that the battle is not over yet. 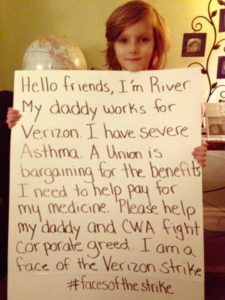 In recognition of the callous disregard shown by Verizon for the working men and women of this country, I no longer use the company’s email service. It’s my wish that this small gesture represent my support and solidarity for the CWA and IBEW unions, and for all unions across the nation. Before becoming an attorney, I worked for nearly twenty years as a union rod setter. This time left me with a life-long respect for the work done by people who are too seldom appreciated. Since their inception, American unions have been a catalyst for the nation’s prosperity; the foundation of a thriving economy. What is detrimental to an economy and to the well-being of a society is unbridled greed. 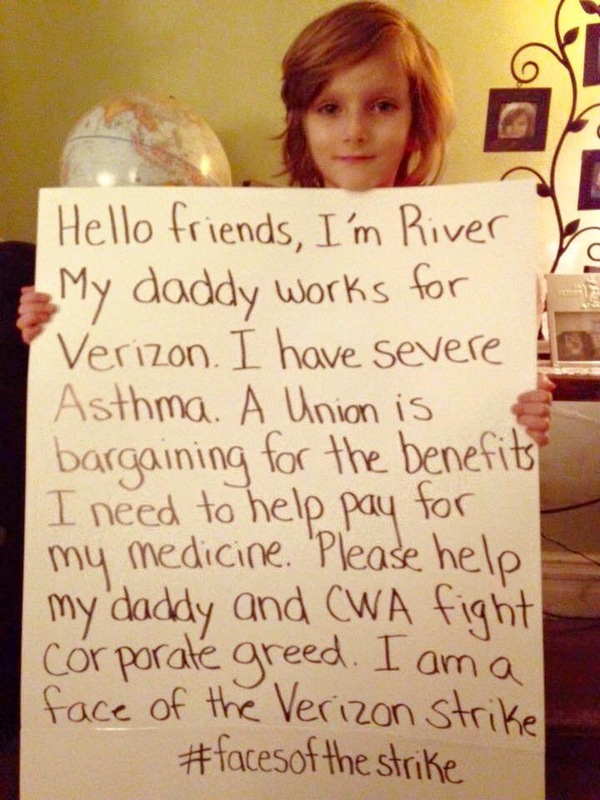 It’s this same greed that is being displayed by Verizon. Recent estimates put the company’s total revenue at 31.9 billion. 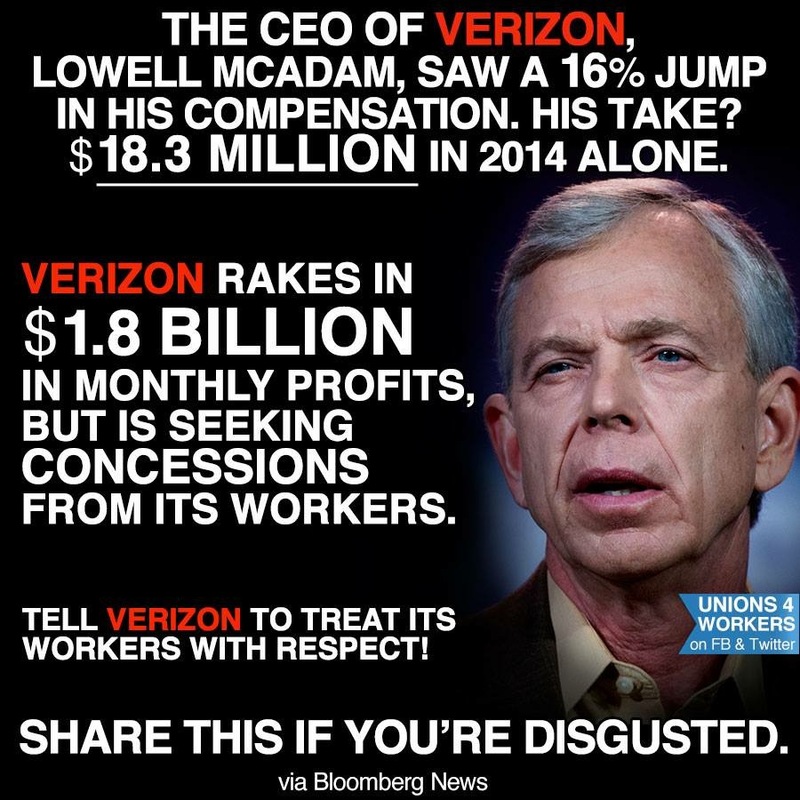 And yet, Verizon is taking aim at the very people whose hard work has contributed to their success. Such actions are reprehensible and must be resisted. Unions came to be when the working men and women of this nation united to take a stand against the inhumanity of companies and corporations. Our success was won through the plight and sacrifice of people whose names are sadly lost to us. But, the legacy remains. And it is this legacy that must never be forgotten. Together, union brothers and sisters, let’s unite once again, take up the fight and carry on the legacy that is and shall always remain the Spirit of our cause. 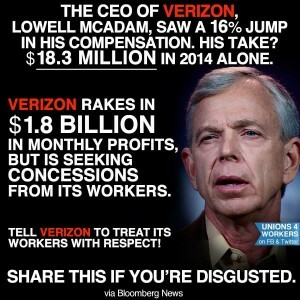 Verizon made $39 billion in profits over the last three years—and $1.8 billion a month in profits over the first three months of 2016—but they are still insisting on givebacks from workers. Verizon wants to gut job security protections, contract out more, shutter call centers, and offshore American jobs to Mexico and the Philippines. Union Services Access proudly stands with Communication Workers of America in their strike for better working conditions. Union Services Access President Sam Pond’s letter to the editor of the Philadelphia Business Journal, “Workers’ comp ‘reform’ is really an attack on workers’ rights,” warns Pennsylvanians about proposed House Bill 1800. The bill, posing as a positive reform to workers’ compensation, would enforce guidelines that require doctors to follow a specific course of treatment – removing their professional judgment altogether. These sham reforms would return many workers, especially those in dangerous industries, to the dark days of the Industrial Revolution when little recourse existed for injured workers or their families. 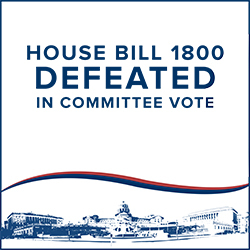 Contact your Representatives here and urge them to vote “NO” on House Bill 1800. The temperatures are falling and winter is coming. Remember these safety tips to make snow removal with a snow blower less painful. Read the instructions and all precautions. Make sure you’re confident in using the snow blower if you’ve never used one before, because serious injuries could occur. According to the Consumer Product Safety Commission, since 2003 more than 9000 Americans have lost fingers because of snow blowers. Ensure your property is clear of objects that could get pulled into the snow blower. Objects that get pulled into the snow blower could explode from the chute, causing injury. Never attempt to remove objects or ice/snow build up while the machine is on. This is how most injuries and amputations occur. If you need to remove something from the machine, make sure it is shut off and use a long screwdriver or garden tool to clear obstructions. NEVER use your hands! Take breaks to prevent overexertion. Overexertion is common for people of all ages when removing snow and can even lead to heart attacks. Each year, about 100 Americans die from cardiac arrest due to snow removal. You’ve paid into the system. You have a right to collect Social Security Disability Insurance (SSDI). Of every paycheck you have earned, 6.2% has gone into the Social Security trust fund for your retirement and disability. You can receive SSDI in addition to your full union pension. This can mean an extra $1500-2500 per month in benefits. Most union members suffer from an injury or medical condition that qualifies them for SSDI. Common conditions include: back pain, neck pain, shoulder, hand or knee issues, headaches, fatigue and carpal tunnel. Remember: your condition does not need to be jobrelated. You will receive Medicare within 24 months of being found disabled. Those who qualify for SSDI will also receive health insurance coverage under Medicare. You do not have to wait for early retirement. Avoid being penalized by collecting Social Security retirement at 62 and thus receiving a reduced rate and not being Medicare eligible. Fill out the contact form on this page to get assistance applying for SSDI. 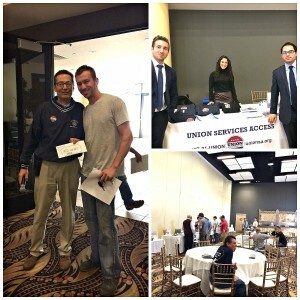 On Wednesday, November 4, 2015, Union Services Access and Pond Lehocky sponsored International Alliance of Theatrical Stage Employees (IATSE) Local 8’s annual breakfast meeting. USA member and Pond Lehocky Partner Tom Giordano, Jr., with fellow attorney Jacob Neff, ran a special Q&A session for current and retired unions members on Social Security disability insurance. 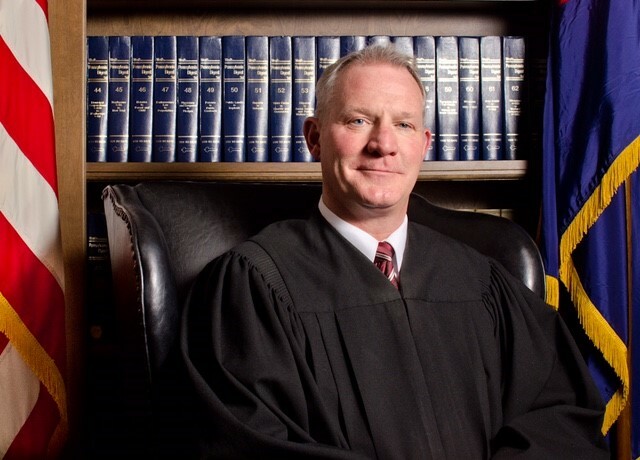 After a successful primary election in May, Democratic candidate Judge Kevin Dougherty of the Philadelphia Common Pleas Court needs your votes to fill one of the three open seats on the Pennsylvania Supreme Court. This year’s election will determine the course of how Pennsylvania’s laws will be upheld as an unprecedented three of seven seats must be filled. Judge Dougherty, a long-time supporter of union rights, has been recommended by more than 100 leading officials and organizations. “Considered fair, open-minded, courteous and a good listener, he also is a hard worker and a consensus builder….the Commission recommends [Dougherty] to serve on the Supreme Court,” said the Pennsylvania Bar Association’s Judicial Evaluation Commission. Currently as administrative judge of the Trial Division of the Court of Common Pleas of the First Judicial District (FJD), Judge Dougherty oversees all aspects of the adult civil and criminal divisions of Pennsylvania’s largest trial court — a system of 72 judges. 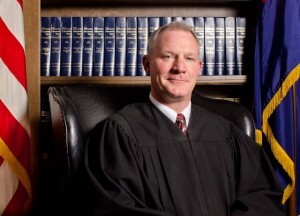 Before assuming the position, Dougherty was the Administrative Judge for the FJD’s Family Division, and prior to that, from 2003-2005, was the Supervising Judge of the Juvenile Branch. Prior to being elected to the Common Pleas bench in 2001 and retained in 2011 for another 10-year term, Dougherty was in private practice both before and after serving as an assistant district attorney in Philadelphia from 1990- 1995. He is a graduate of Temple University and Antioch School of Law. The general election will be Tuesday, November 3, 2015. Be sure to get out and vote: make your voice heard! Mr. Michael Robinson, son of Michael Robinson of Glaziers Local 252, was awarded the 2015 Union Services Access Scholarship. Michael, currently an economics major at Fordham University, was a very involved student at Scranton Preparatory School both academically and socially. He achieved the highest average in three of his classes and earned first honors 14 times. As a dedicated seven-year Eagle Scout, he was selected to the Order of the Arrow, the Scouts’ honors society. 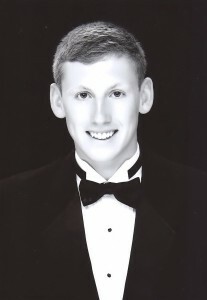 Michael participated in many athletics, and was a member of the track and field team, cross-country team and swim team. In his application essay, Michael described the personally rewarding experience of volunteering as a Special Olympics swim instructor. Every Sunday, Michael heads to the pool at 5 a.m. to train a Special Olympics athlete. Learn more about the USA Scholarship program. Mr. Paul Keppel Jr. was one of three students selected for the 2015 Union Services Access Scholarship. In his application essay, Paul described how he has learned many leadership skills and the importance of strength in numbers from his father, Paul Keppel Sr. of CWA 13000, and his fellow union members. 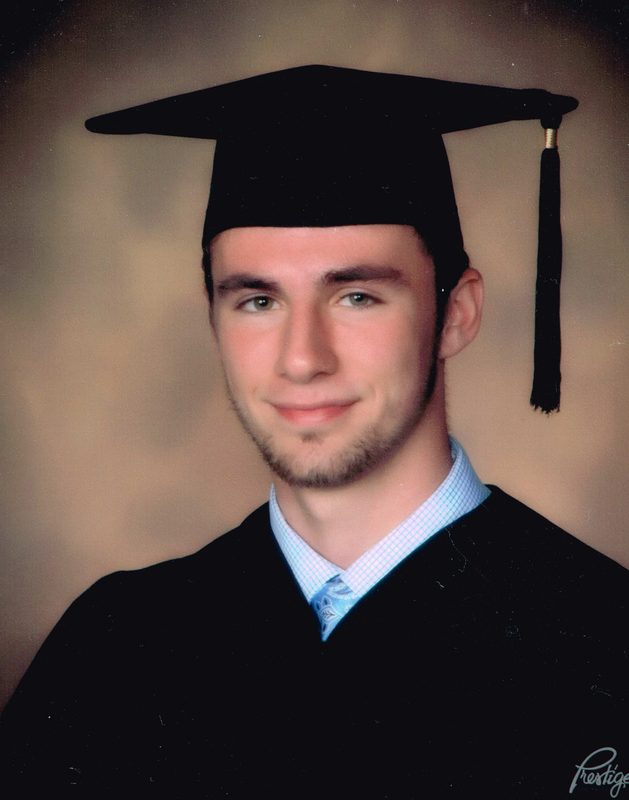 A dedicated student, Paul completed 12 honors and advanced placement courses in math, science, history and foreign language during his four years at St. Joseph’s Preparatory School. During his senior year, he was one of only three students selected to take a summer college course at St. Joseph’s University and received an A. As a junior, he participated in a selective Chilean exchange program and improved his Spanish-speaking skills to a conversational level. Paul is a freshman at Edinboro University, where he is studying pre-pharmacy. He will transfer to Lake Erie College of Osteopathic Medicine, where he has been accepted into the college’s doctorate of pharmacy program.